Canada's largest bank has been named in a lawsuit initiated by a top U.S. banking regulator that accuses RBC and more than a dozen of the world's largest banks of colluding to fix a key international lending rate. The Royal Bank of Canada is one of more than a dozen financial institutions named in a lawsuit by the U.S.-based Federal Deposit Insurance Corporation that accuses them of conspiring to manipulate LIBOR, or the London interbank offered rate. LIBOR is a lending rate that is the basis for hundreds of trillions of dollars worth of consumer loans and savings rates around the world. It's a number, calculated and released daily by banks in London, that is supposed to show the rate at which they are lending money to each other for short term loans. It's seen as a broad proxy for the strength of their finances, which is itself an indicator for the global economy. 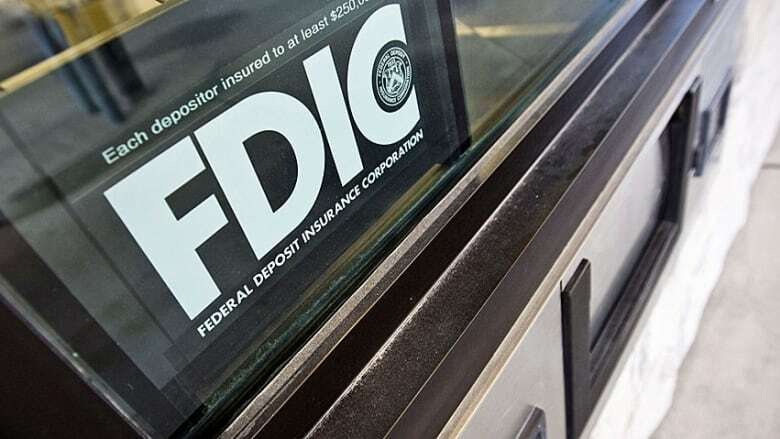 The FDIC alleges that the banks it has accused in the lawsuit "fraudulently and collusively suppressed" the rate to make it appear as though their financial situations were better than they were in reality. That would move other interest rates for consumers and businesses higher or lower than they should otherwise have been — which could cost end users billions of dollars. "RBC was at all relevant times a member of the ... LIBOR panel," the lawsuit alleges. "RBC participated in the wrongful conduct alleged in this complaint both directly and through its subsidiaries and affiliates​." When asked for comment on this story by CBC News, a spokesman for Royal Bank had no comment. The allegations date back as far as 2007, before the credit crisis came to light that sparked a global recession in 2008 and 2009. The FDIC outlines several pieces of correspondence between banks which it says are evidence of a wide-ranging conspiracy to mislead. The FDIC is bringing the lawsuit on behalf of 38 failed U.S. banks. The FDIC is responsible for paying off the debts of all of those banks. It is seeking unspecified damages, but international banks have already paid out more than $6 billion in fines for their role in fixing LIBOR.